by Jose M. de la Rosa, University of Sevilla, Spain. by Hao Yu, Southern University of Science and Technology in Shenzhen, China. — Abstract — This lecture presents an overview of emerging circuits and systems techniques, which are at the forefront of the state of the art in Sigma-Delta Modulators (ΣΔMs), giving rise to a new generation of data converters that will enable an efficient implementation of the so-called software-defined-electronics paradigm. A number of trends, design challenges and new approaches – like RF/GHz-range ΣΔ digitization in wireless transceivers, digital-assisted analog circuits, time/frequency-to-digital conversion and hybrid ΣΔ/Nyquist-rate Analog-to-Digital Converters (ADCs) – are discussed, as well as the implications derived from their integration in deep nanometer CMOS technologies. Main limitations and problems faced by cutting-edge designs are identified, giving a didactic explanation of them, well supported by an exhaustive statistics-based analysis of over 500 outstanding ΣΔM Integrated Circuits (ICs) in the frontiers of data conversion. Main tendencies, research opportunities and perspectives on the evolution of data converters are envisioned, highlighting how ΣΔM-based analog/digital interfaces can improve their performance and efficiency in an increasingly digital-driven world. — Biography — José M. de la Rosa received the M.S. degree in Physics in 1993 and the Ph.D. degree in Microelectronics in 2000, both from the University of Seville, Spain. Since 1993 he has been working at the Institute of Microelectronics of Seville (IMSE), which is in turn part of the Spanish Microelectronics Center (CNM) of the Spanish National Research Council (CSIC), where he heads a research group on micro/nanoelectronics. He is also with the Department of Electronics and Electromagnetism of the University of Seville, where he is currently a Full Professor. His main research interests are in the field of analog and mixed-signal integrated circuits, including analysis, modeling and design automation of such circuits. In these topics, Dr. de la Rosa has participated in a number of National and European research and industrial projects, and has co-authored 5 books and more than 200 international peer-reviewed publications, including journal and conference papers and book chapters. 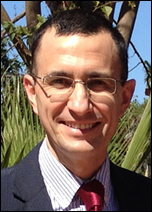 Dr. de la Rosa is an IEEE Senior Member and a member of the Analog Signal Processing Technical Committee of the IEEE Circuits and Systems Society. He serves as Deputy Editor in Chief of the IEEE Transactions on Circuits and Systems – II: Express Briefs (term 2016-2017) and he has served as Associate Editor for IEEE Transactions on Circuits and Systems I: Regular Papers since 2012 to 2015. During his term as AE of IEEE TCAS-I, he received the 2012-2013 Best Associate Editor Award, and served as Guest Editor of the Special Issue on Custom Integrated Circuits Conference (CICC) in 2013 and 2014. He has also served as Guest Editor of the Special Issue of the IEEE J. on Emerging and Selected Topics in Circuits and Systems on Next-Generation Delta-Sigma Converters. He has participated in the organizing and technical committees of a number of IEEE conferences, including ISCAS, MWSCAS, ICECS, LASCAS and VLSI-SoC, and served as TPC chair of MWSCAS’12, ICECS’12 and LASCAS’15. He has been appointed as IEEE-CAS Society Distinguished Lecturer for the term 2017-2018. 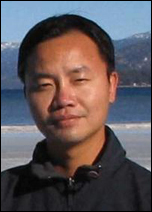 Speaker: Hao Yu, Southern University of Science and Technology in Shenzhen, China. — Abstract — With the recent advance of microfluidic-based lab-on-a-chip integration, lensless microfluidic imaging system with super-resolution (SR) algorithm has become a promising solution to miniaturize the conventional bulky optical-lens-based flow cytometer for portable and high-throughput cell detection. The previous lensless microfluidic imaging system however requires a multi-frame-SR based image processing with limited throughput to be realized on hardware. This talk presents two single-frame super-resolution algorithms using online machine-learning for lensless microfluidic imaging. One is based on extreme-learning machine and the other one is based convolution-neuron-network. Both requires only one frame of image to correct the resolution of the lensless images and can be realized with compact hardware (ASIC chip and FPGA) to perform a real-time image processing. A corresponding contact-imaging based microfluidic cytometer prototype is demonstrated for cell recognition and counting. Compared with the commercial flow cytometer, less than 8% error is observed for absolute number of microbeads; and 0.10 coefficient of variation is observed for cell-ratio of mixed RBC and HepG2 cells in solution. — Biography — Dr. Yu obtained his B.S. degree from Fudan University (Shanghai China) in 1999, with 4-year first-prize Guanghua scholarship and 1-year Samsung scholarship for the outstanding student in science and engineering. After selected by mini-cuspea program, he spent some time in New York University, and obtained M.S/Ph. D degrees both from electrical engineering department at UCLA in 2007, with major of integrated circuit and embedded computing. He was a senior research staff at Berkeley Design Automation (BDA) since 2006, one of top-100 start-ups selected by Red-herrings at Silicon Valley. Since October 2009, he is an assistant professor at school of electrical and electronic engineering, and as area director of VIRTUS IC Design, VALENS Biomedical Research Center, as well as IoT Cluster Director of Energy Research Institute, Nanyang Technological University (NTU), Singapore.